Experience one of the World's finest cave systems with spectacular limestone formations. Coach tour departs daily from Katoomba at 10.35am to Jenolan Caves and departs the Caves at 3.30pm to return to Katoomba by 5pm. 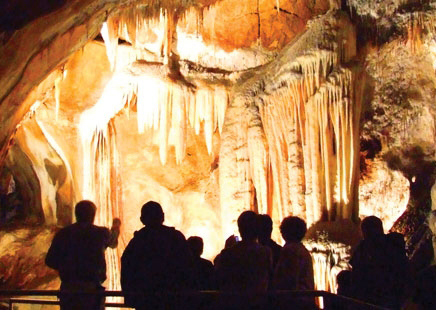 Tour includes return coach travel and informative commentary as well as a guided tour Chifley Cave. Please wear enclosed shoes. Please meet at the Bus Stop at the Carrington Hotel, 15-47 Katoomba Street, Katoomba, 15 minutes before the departure. This service may operate as a co-share and departure is subject to minimum numbers travelling.